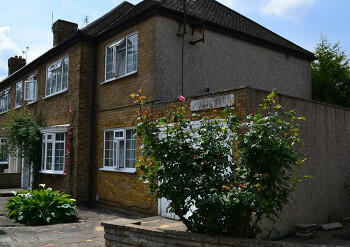 Large end of Terrace 4 bedroom house in Walthamstow, E17. Large extended home. Great condition throughout. Double glazing throughout. 3 large double rooms with 1 large single. On suit off master bedroom with walk in shower. Large front garden and rear gardens. Side garage. 5 minute walk to Chingford Road for local shops and bus links. 10 minute bus journey to Walthamstow Central for great central London transport links. Property is fully furnished and includes appliances. External toilet area. Please note the property is available immediately and bills are excluded from the rent. Please contact us if you have any queries or if you wish to arrange a viewing.